Dr. Micheal Thompson discusses how the educational system and today’s cultural circumstances are not equipping America’s boys with the right tools to develop emotionally. Americas boys are in trouble. RAISING CAIN, hosted by child psychologist Michael Thompson, Ph.D., explores the emotional development of boys in America today. 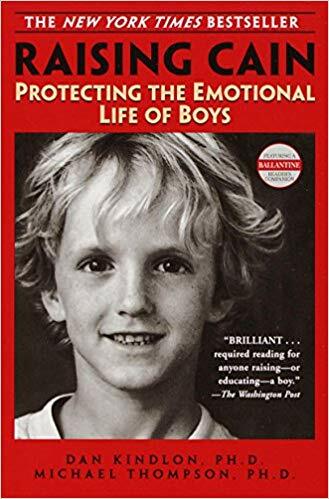 This two-hour documentary provides surprising new research about boys inner workings, dispelling a number of commonly held misconceptions, and highlights innovative programs that are bringing out the best in boys. In Raising Cain, the two-hour documentary based on the book by the same title, Dr. Michael Thompson discusses how the educational system and today’s cultural circumstances are not equipping America’s boys with the right tools to development emotionally. If society and the school system stay on their current path, the boys of America are headed for trouble. The lack of positive “father figures” in most American homes, the removal of physical education and recess in schools, a school system geared more toward girls’ educational development, and the emotional confusion many boys face when growing up with without any adult male guidance are all contributing factors to American boys’ decline in classroom performance, rise in violent outbreaks, and inability to communicate inner feelings. To get to the heart of the issue, Dr. Thompson proposes that by understanding the psychology of boys, we can help get them on track. To get his point across, Dr. Thompson interviews the lives of various “real boys” from birth through high school, of different race and socio-economical backgrounds. His candid interviews reveal the many challenges and confusion all boys encounter while growing up in America. At the end of each section, Dr. Thompson defines ways for parents, educators, and counselors to engage boys and help them discuss many of the internal issues they are conflicted with.